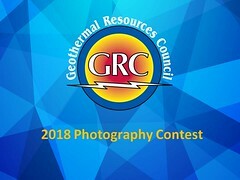 As part of this strategy, Geothermal energy is giving the first steps in country, and following the successful development of Morocco northeastern strategy for geothermal power, where the geothermal potential of an area of more than 60,000 km2 was evaluated, Gesto - based in Algés, Lisbon, Portugal - was awarded the project: Realisation d’une Etude des Potentiatites Geothermiques dans les Provinces du Sud. The purpose of this new project is to identify and study areas with geothermal potential in the provinces of south of Morocco in an area of more than 140,000 km2, corresponding to Moroccan Sahara. This project will comprehend hydrogeological, geochemical, geological and geophysical studies, with the goal to classify the different energy levels of the geothermal potential.